Ever wonder what kind of wine will pair well with that succulently braised pork belly? Or delicately steamed fish? For some cuisines, it’s easy enough for wine enthusiasts to follow suit with what restaurants do and pair wines with local dishes (e.g., tapas with Rioja, pasta with Chianti, etc.). 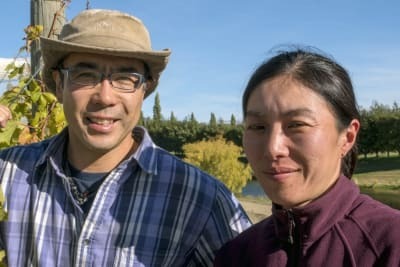 But when it comes to pairing wines with Asian dishes, especially for regions that don’t traditionally have native wine-growing regions, it can be a head-scratcher – or a default to an all-encompassing refreshing, fruity and acidic white varietal or less tannic red wine. Given how subjective the palate can be, there’s nothing wrong with having go-to tipples, especially when it comes to wine. Yet given the incredible diversity and range of cuisines that the Asia-Pacific region has to offer, the annual Cathay Pacific Hong Kong International Wine & Spirit Competition (HK IWSC) can be a helpful reference for wine lovers who are looking to be more adventurous when experimenting with different wines and regional flavours. 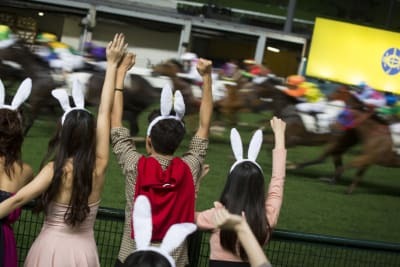 In its 10th year and billed as “the world’s only international wine competition to offer a full programme of Asian food and wine pairing awards”, the competition showcases a sampling of traditional and trending dishes across the region for its annual Asian food pairing awards. The winning wines offer a useful bellwether for how wines from around the world are assessed and judged with local dishes. 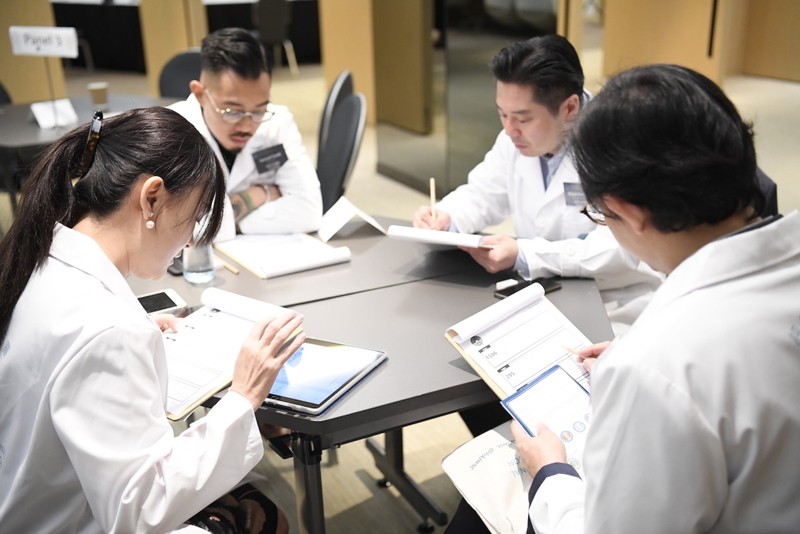 The process is not taken lightly by the panels nor the competition chairs, who often take the time for lengthy debate during the scoring process. At the end of the week, the judges will have tasted 130 flights of wine, spirits and sake from more than 43 countries. “The ability to persuade is an important element of being on a judging panel,” continued Debra. “The discussion allows the judges to debate with each other and point out things that might have been missed in the first go-around.” The final results of the trophy and medal winners of the competition are audited by KPMG. This year’s food and wine pairing portion of the competition featured classic Chinese and Japanese dishes including steamed garoupa, dong po rou (braised pork belly) and Japanese white sashimi, as well as the debut of trending dishes such as bò lúc lắc (shaking beef) from Vietnam, galbi (grilled beef short rib) from Korea and African chicken from Macau. The winners will be announced at the Hong Kong International Wine & Spirits Fair on 8 November 2018, with trophies in gold, silver and bronze selected for each dish. Peking duck: Pinot Noir is a natural go-to for duck meat, but so is a wine with good acidity and some residual sugar, given the combination of meat and sweet-salty sauce in this dish. Think of off-dry whites like Riesling Spätlese or a ripe Syrah/Shiraz with low acidity and light tannin. 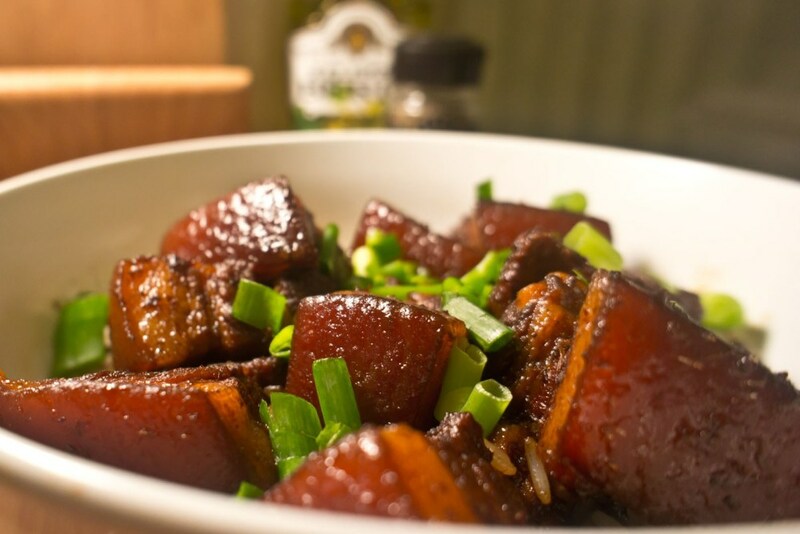 Dong po rou (braised pork belly): the high fat content calls for good acidity and minerality to balance the sweet soy-based dressing. Try an off-dry, high-acid white wine like Riesling, Zinfandel, GSM (blend of Grenache, Syrah and Mourvèdre) or rosé. 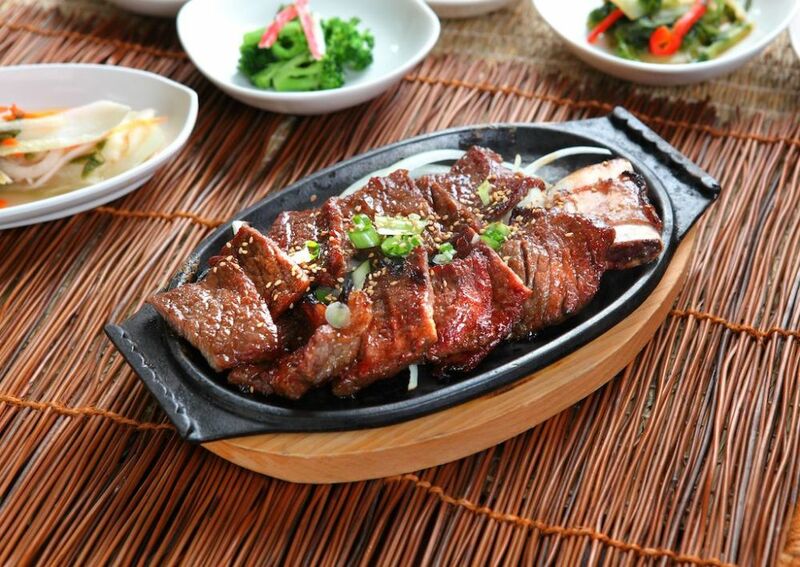 Galbi (Korean grilled beef short rib): though it’s easy to think of a medium-bodied red wine like Bordeaux, Chianti or Merlot, fruit-driven wines like Australian and Chilean Shiraz are good choices too – just avoid anything too complex or heavy that will compete with the meaty flavours of this dish. 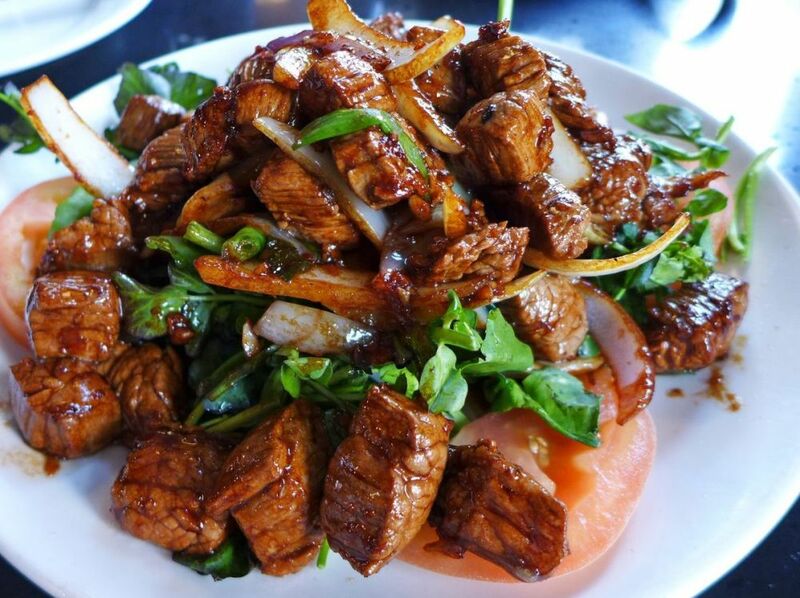 Bò lúc lắc (Vietnamese shaking beef): for those who prefer reds with their meat, a lightly oaked, ripe and fruit-driven Malbec or Cabernet Sauvignon will pair well. Yet the salty and sour flavours of this dish also pair well with certain whites – try a warm-climate and partially oaked Chardonnay, off-dry Riesling or even a tropical New World Sauvignon Blanc. Steamed garoupa: taking into account the fat content of the fish combined with the saltiness of the soy sauce used, medium-bodied, medium-acidity wines are recommended. Try Chardonnay, Sauvignon Blanc, Sancerre white, Viognier, rosé and light-bodied Pinot Noir.